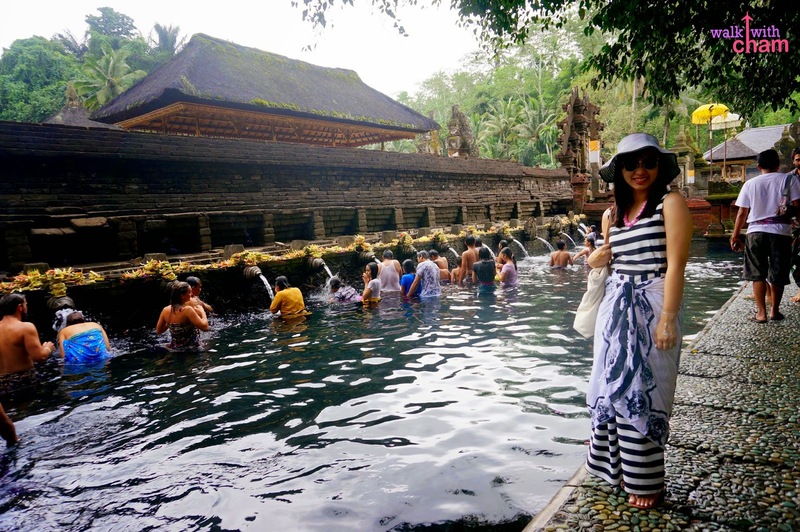 It was in the afternoon when we arrived at Tirta Empul which is just a few kilometers from Besakih Temple. 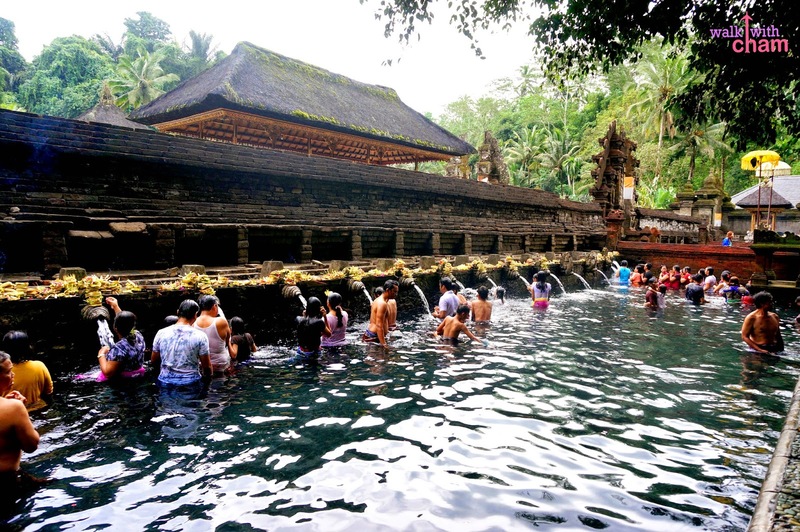 Tira Empul Temple is another Hindu temple located in the middle of Bali famous for its holy spring that is said to have curative properties. 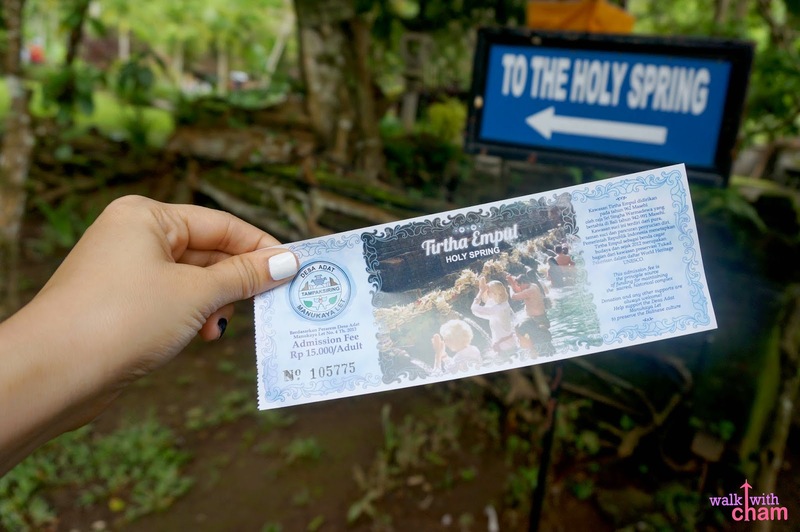 We paid Rp 15,000 (P55) for the entrance. The temple is dedicated to Vishnu, a hindu god. The place has luscious vegetation and niche. 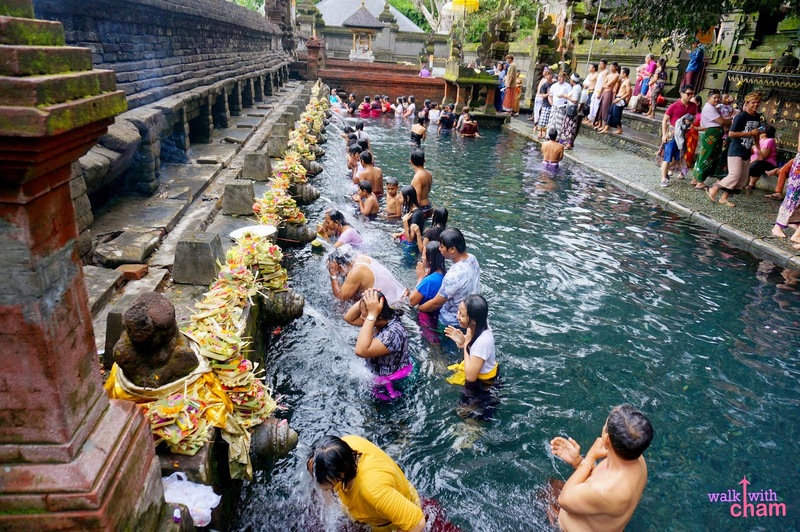 The main attraction is the holy spring but before entering, like in all their Hindu temples everyone is required to wear a sarong and a sash as a sign of respect to their gods. 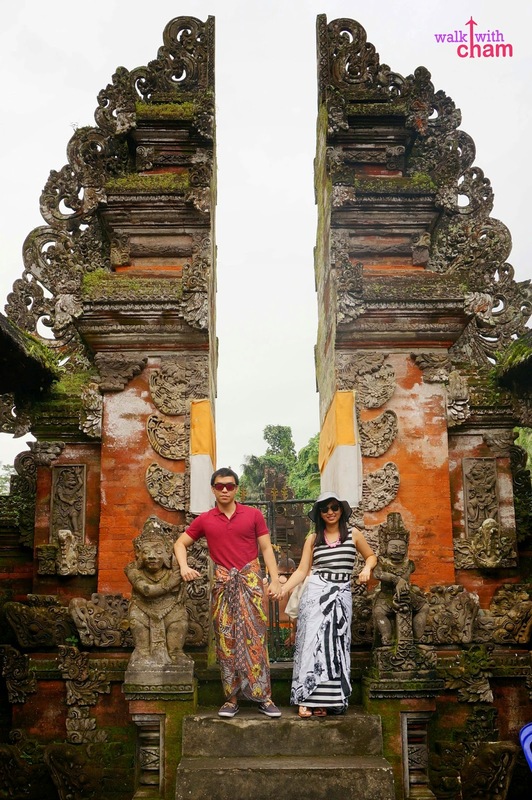 Because we already bought sarongs at Besakih Temple we didn't need to rent anymore. 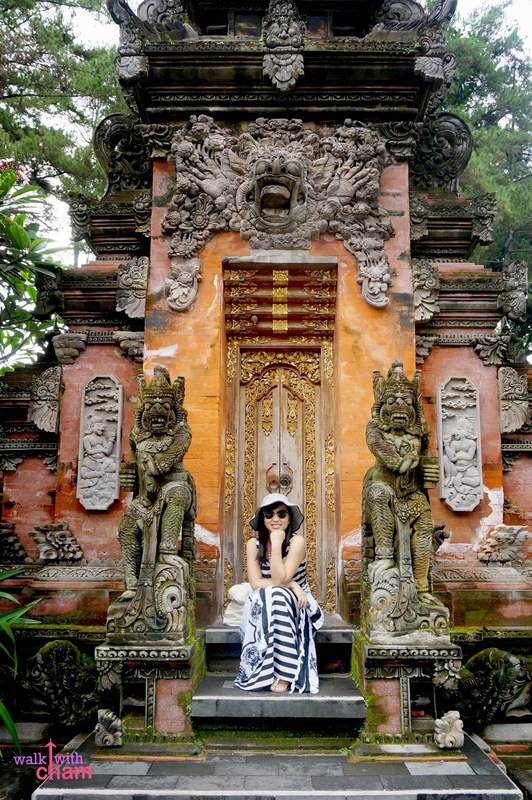 Bali is famous for the Balinese doors of intricate wood carvings and flamboyant designs which are actually good for picture taking. 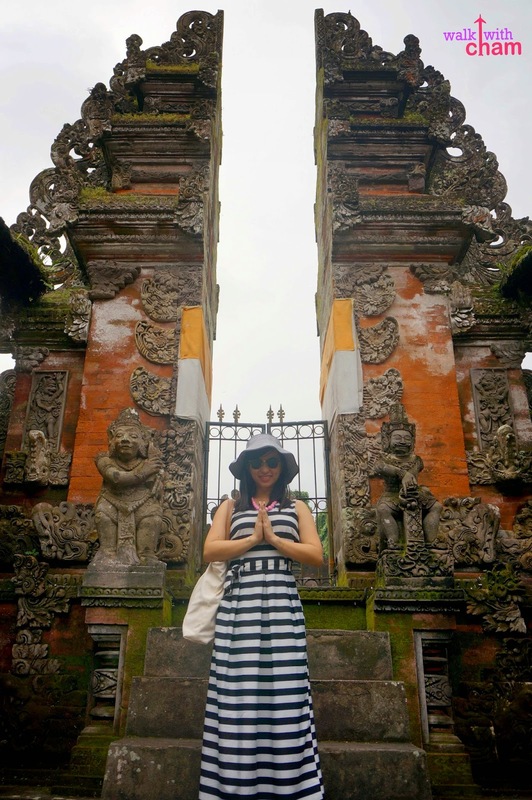 You can see these Balinese doors almost everywhere in Bali. At the end of the door we then saw the sacred spring packed with locals and tourists. 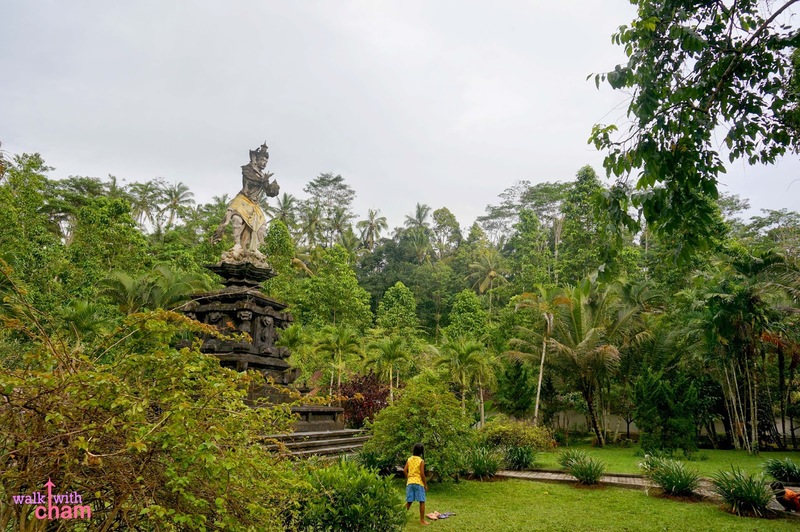 Balinese worshipers believed that the god Indra created the spring thousands of years ago and up until now the locals go here to bathe for healing and spiritual purposes. There are 13 sculpted spouts that give out fresh water regularly. 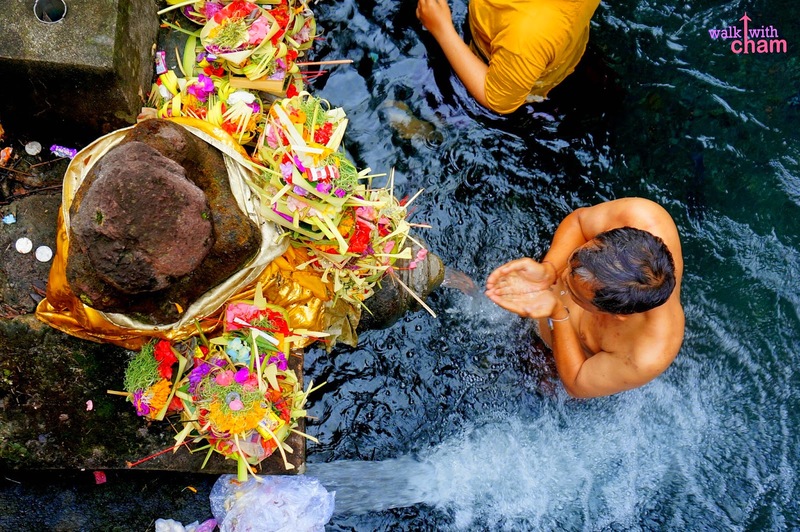 After praying at the altar the Hindus proceed to dip and bow under the gushing water. Some people even collect the holy water and put it in bottles to take home. We actually had no plans of dipping (especially me because I had my period at that time) so instead we tried to touch the flowing water hoping that it would have the same effect as dipping in it. 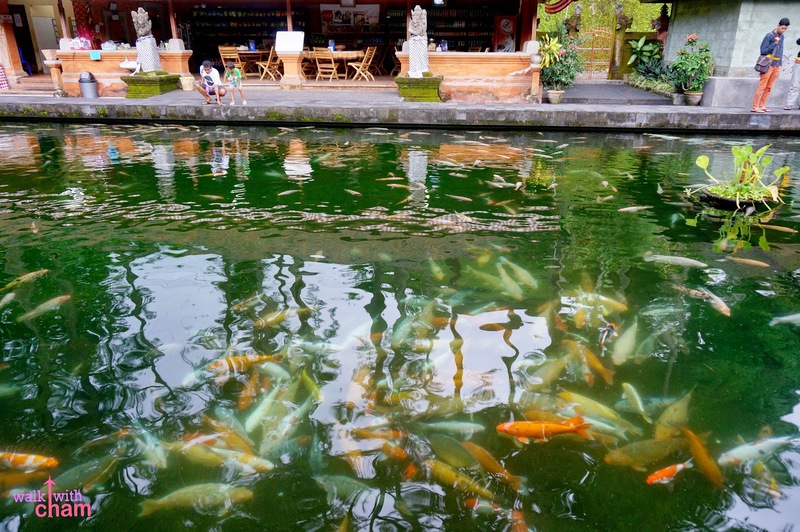 At the temple we also saw a long rectangular pool carved stone, filled with koi. 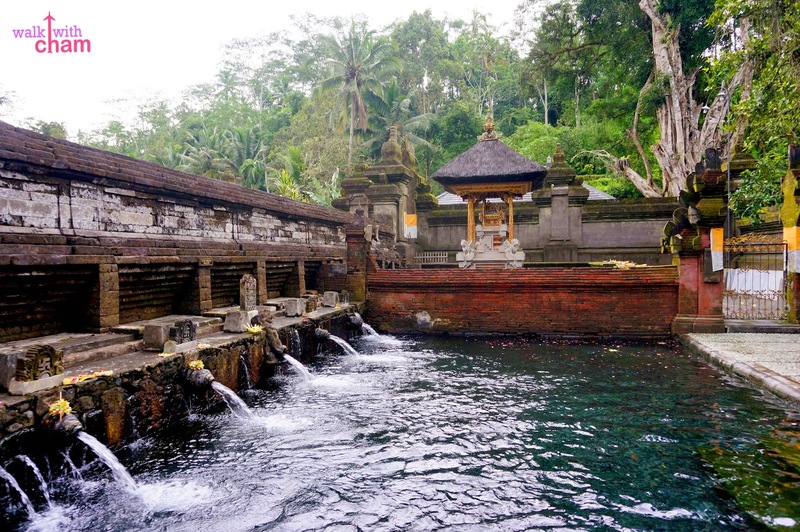 Tirta Empul Temple is a good venue to appreciate Hindu culture and tradition. It would also be best if you experience it yourself by dipping in the water. But because the place was too far from our villa [plus the fact that I had my period] it was impractical to dip in. But for adventurous tourists trying it is worth a shot. 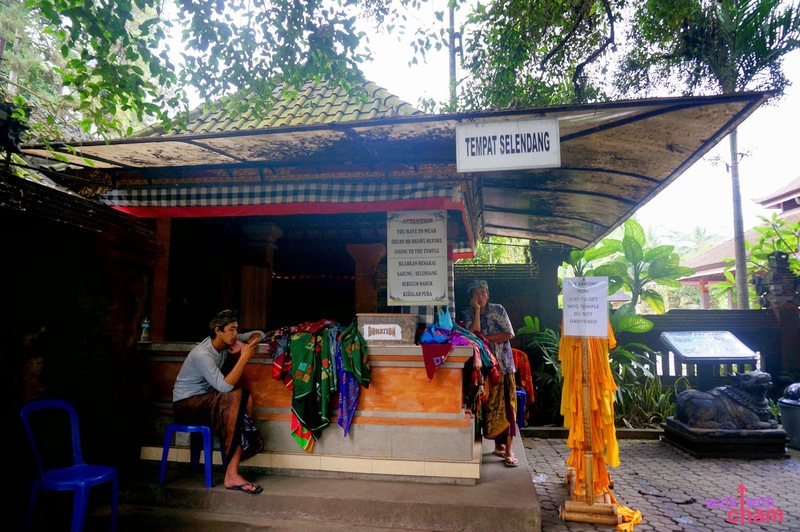 Other: Menstruating women are prohibited (though I had my period that time---sssshhhh), bring an empty bottle too so you can put some of the the holy water as souvenir.